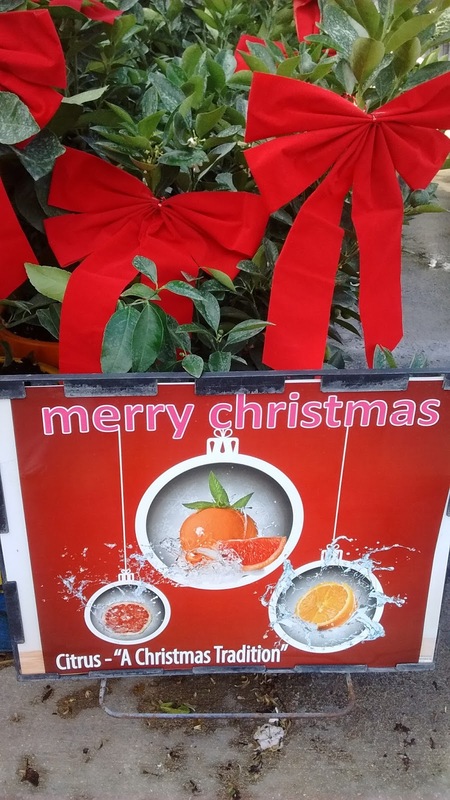 From Florida, where we'll shortly be heading...note that Citrus is a Christmas Tradition there. Well I suppose you have to improvise. And from western New York, where our neighbour is sporting a jaunty new getup and yes, there's no snow. Though there was some last weekend. But a few days of warmth and rain and it's all gone. And wouldn't you know, look who's popped up. But never mind, Christmas is still Christmas. And I've heard fewer people around here saying "Happy Holidays" this year. Perhaps they're fighting back. Oh and I've noticed another transatlantic difference. Here, Santa Claus has a wife, Mrs Claus and gets cookies and milk left out for him. In Blighty it's Father Christmas and he gets sherry and mince pies. I wonder which he'd rather be?